Agent Michael John Smith KGB or MI6 or CIA? Michael John Smith appeared to be a supporter of JAR2 and a friend until MI6/CIA came after JAR2 and my family. Then Mr. Smith actually helped Tony Holland in attempts to damage us. The story behind the Woolwich attack once again brings to the forefront the relationship between the special services and Islamic extremists and terrorists who on the one hand the West recruits and on the other the West demonizes and eradicates. It is a duplicitous game and it is civilians who are paying the price. Michael John Smith spoke about this to the Voice of Russia. This is John Robles. I am speaking with Mr. Michael John Smith, he’s an intelligence specialist from the UK. Robles: I’d like to get your views on the recent revelations regarding MI-5 trying to recruit the perpetrators of that horrendous act in London. 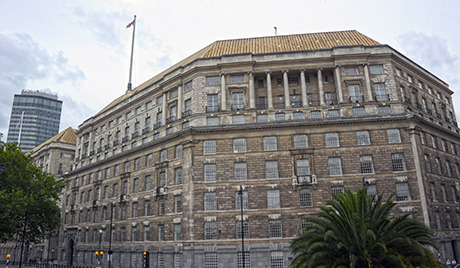 Can you give us some of your views on what you know about MI-5’s relationship with internal British Islamists and groups? Smith: The interesting thing John was, there was an interview on TV late last night, a program called News Night, and they interviewed a guy called Abu Nusaybah. He is a friend, an old friend of one of the 2 killers in this Woolwich murder, called Michael Adebolajo. Adebolajo had apparently gone to Kenya last year and had been arrested by Kenyan troops and he was interrogated, tortured, possibly sexually abused and he came back rather shell-shocked from this and it seems that might have started things off. Now at that time when he arrived back in the UK, he was interviewed by MI-5. He was obviously on their radar as being a possible Islamist extremist and they made an offer to him, but his friend said Adebolajo said to him that MI-5 had persistently tried to recruit him, they had knocked on his door, they had tried to discuss things with him, they wanted to ask him questions about possible extremists that he might know. He said he didn’t know any of these people’s names. But they did make an approach to him and said: “Could we recruit you and use you as an agent?”, and this is quite surprising considering what happened last week in Woolwich because obviously at that time they were looking upon Adebolajo as a sort of possible friend of the UK and somebody who could work with MI5. Robles: Does it happen regularly? Smith: I am not aware that this is a regular thing but from the MI-5 point of view it is very difficult for them to get information about these extremist groups because they usually work out of sight of public domain and those sort of people, if they are planning anything, MI-5 wants to know about it. So, I guess that having an asset on the inside is exactly what MI-5 were looking for and somebody with the sort of contacts this guy has got, it would be very understandable if they would approach him and try to recruit him because of his connections. Having a live agent in a radical cell like that is far better than relying on, say, electronic surveillance, which might be unreliable and some of these groups are so secretive that they don’t use phones or even e-mail. Robles: Isn’t there a point where the danger to the public might outweigh the possible intelligence gains they might make? Smith: Exactly, I think this is precisely what had happened in this case. The public obviously think MI-5 are there looking after our interests, protecting public good and, on the other hand, they’re working with these extremists, trying to do deals with them of some sort. There’s been some sort of outcry from the public this week: “How was it that MI-5 didn’t know about these 2 killers before, they made their attack last week?” And now we know that is not true, MI-5 knew all about these guys, tried to recruit at least one of them as an agent. Robles: I don’t want to be an apologist or anything but I mean the CIA, MI-5, Russian intelligence, I mean, all intelligence agencies, Mossad, whoever, AISO, to some point, to get some sort of intelligence sometimes they have to deal with people who are not entirely upstanding citizens. Wouldn’t you agree? Smith: I agree entirely but it always has to be balanced against what is in the public interest and I think in this case having such good contacts with these people over some months I would have thought they would be aware there was a possibility they would not behave the way they were expected to behave. The other guy, we concentrated on was the older one, who has the most, sort of public image here, but the other guy also called Michael “Adebowale”, he has also been a long term, on the watch list for MI-5, possibly up to 8 years. So, there is no excuse to say that MI-5 didn’t know about him as well. Adebowale, he was arrested only 2 months ago because he was running some sort of stall in a market place in Greenwich, which is just down the road from Wollich. He was trying to recruit young men to radical Islam I believe in the streets of Greenwich and other street traders who were living nearby, working nearby, they complained to the police about him because he was causing a nuisance and he was arrested. Robles: Maybe he was working for MI-5 at that point already and he was just trying to get some intel? Smith: Well, say this is where we just don’t know, do we? I mean the whole thing is shrouded in secrecy. MI-5 won’t come out and say these 2 guys were agents or they weren’t. Maybe they were, maybe they weren’t, who knows? Robles: How else would they get information in your opinion? Smith: There are lots of ways of getting information. Now what I think is important about what happened last week is that, obviously there is a lot of sympathy in the general public for the guy, Lee Rigby, the soldier who died because it is quite tragic for somebody to be hacked to death in the street. That sort of thing doesn’t happen in the UK very often. So, this has caused enormous uproar amongst people who are obviously turning against any Muslim elements in their society. So, Muslim organizations are coming out also against these terrorist elements, these radicals. And on the other hand you’ve got the right wing, the fascist elements in the UK like the English Defense League, are also jumping on the bandwagon, they are using this murder to call for attacks on mosques, Muslim property and this has fueled a lot of right-wing backlash, which has frightened a lot of very moderate Muslims into feeling they can’t go out on the street. 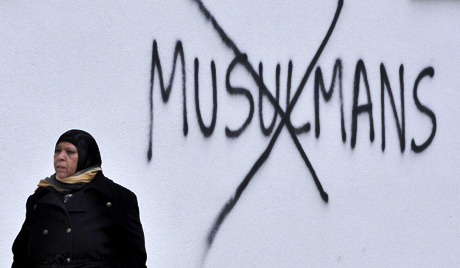 Robles: This is already… more than a decade of Western demonization of Muslims, the war on terror, which is really, I would quite frankly call it “a war on Islam” or to put it milder “a war on radical Islamists”. Do, you think the government of the UK, the US, the special services, the proponents of this campaign, don’t you think they’re responsible in a way? Smith: Unfortunately, I think this incident, terrible as it is, is a wakeup call for people to think; “What is going on in our society?” Because this one death it’s just one soldier and we know the war on terror involves tens of thousands of innocent civilians. One of the reasons behind this radicalization of young Muslims in the UK is not just for what’s going on in the UK, it is the way they perceive Muslims in other countries, in Arab countries, in Afghanistan, Iraq, suffering at the hands of the UK and USA forces. This is where the bigger story comes I think because if anybody has got blood on their hands, it should be Tony Blair. The demonization of Muslims and the suffering they face at the hands of the UK and the USA will no doubt cause even more terrorist attacks like the one which occurred in Woolich in the future. According to Michael John Smith, who spoke about this to the Voice of Russia, the West needs to view Muslim countries as trading partners and with due respect. This is John Robles. I am speaking with Mr. Michael John Smith, an intelligence specialist from the UK. Robles: Do you think the government of the UK, the US, the special services, the proponents of this campaign, don’t you think they are responsible in a way? One of the reasons behind this radicalization of young Muslims in the UK is not just for what’s going on in the UK, it is the way they perceive Muslims in other countries, in Arab countries, in Afghanistan, Iraq, suffering at the hands of the UK and USA forces. This is where the bigger story comes I think because if anybody has got blood on their hands, it should be Tony Blair in the UK, because he was the Prime Minister who led Britain into war in Iraq and Afghanistan and the deaths of thousands of innocent civilians are on his hands. And the occupation of these countries has caused enormous strain to relationships within the UK. Now you say “the war on terror” and we know the passion of the US and the UK is to impose some sort of their own democracy on these countries and that’s what I think is making the radicalization more likely to happen in places like the US and the UK. Robles: I have a problem with the fact that now we have a whole generation of people that have come of age, or now are coming of age since 9/11. We have young people who all of their lives almost have been witnesses to more or less this entire paradigm. Do you think we’ll be seeing a lot more of attacks like this in the near future? Smith: The problem here is I think this is an unknown quantity what is going on in people’s minds. But we do see in the UK over quite a period of time, a growing feeling of discontent and this has to be put in context with the economic situation in the world, the changing forces between the West and the East and now China emerging, and all these things are affecting living standards and our future and I see a lot of people are very uneasy. They feel very unsatisfied with their lives and they see people in countries, and they think themselves: “we are living a hard time here and yet we see billions of dollars poured into the war machine, to go to the war on countries like Iraq”, and that money should be spent on people at home. Robles: But isn’t that anger going to come back at the government and the war machine itself or is it going to be transposed onto the poor victims that have been wiped out for the last decade? Smith: You see the victim in this case, this poor soldier. Why did he deserve this? The person who perpetrated this crime, because it is a crime, he did this because he couldn’t get to the army, he couldn’t break into one of these army camps, and damage a tank, say. He wasn’t capable, so he’s taken an easy target: somebody walking down the street. But the people who live in these countries,who see these forces, UK and USA forces like Iraq, Afghanistan, they see that invasion of troops as little different from earlier attempts at colonization or imperialism that happened in the past. Robles: The key word you just said there, “invasion”, because that’s what they are. Smith:That’s what it is. It’s been seen as we are protecting UK interests by going into places like Afghanistan. Now I don’t see it as being in my interest for that to happen, I see the hundreds of troops, British troops that have died in Afghanistan as being just a complete waste of life. I think those people have died unnecessarily. We don’t need to be in Afghanistan, we didn’t need to be in Iraq either. The only reason we are there I think is to try and control the futures of those countries, to set up puppet governments who will be in the pocket of the West years to come. We can see what happened in Libya recently. You know the attempts there to change their government. Now it’s happening in Syria. Robles: Getting away a little bit from the MI-5 and stuff, wouldn’t you agree that in Afghanistan and Iraq, I would call it a complete and utter dismal failure of historic proportions, I mean radical Islamists are coming to power. Smith: All I can think is this is what the UK and the USA governments want. They want destabilization in these countries because it prevents them from causing perhaps a wider problem in their area, I don’t know. In Afghanistan we can see quite clearly that as soon as foreign troops leave that country, the puppet government will probably fall and they will go back to some or maybe worse situation than they had before. Robles: Can we get back to Mr. Michael Adebolajo and an interview that was given on the BBC regarding MI-5 and connections. Can you tell us anything else? Smith:Well, the main thing I think is that he has been presented as being somebody who is quite a monster, and the guy who was his friend for some years, said that: “No, he was a nice guy, he was quite good humored, quite good natured” and he couldn’t imagine that his friend would have done something like this. So, obviously in this guy’s case something seriously has happened to his mental state to turn him into a killer and I think that needs to be investigated because it is no good, if we don’t understand why these things happen we can never make any progress. The other thing that was interesting after the interview, I don’t think we discussed this, was that the man Abu Nusaybah he went to give the interview and he came on TV, before the interview was aired, the guy who interviewed him, he is an investigative journalist called Richard Watson, he does a lot of these interviews, he was quite shocked, he said he never experienced this because while they were doing the interview, there were 3 Special Branch, now they are anti-terrorism police, waiting in the BBC reception area to arrest Nusaybah as he left the building and it seems very strange that they wouldn’t have arrested him maybe a day or two earlier. Why allow him to give an interview? And this sort of shocked the BBC presenter, he found this quite unusual. Robles: That is strange. Do you think they were just being polite? Smith: You see the interview in a way is giving more information to the public about the guy who was involved in carrying out the murder and obviously people want to know what sort of person is this, why would they do a thing like this and this chap was giving some useful information about his knowledge of this man over many years because he was a good friend of his. So, for somebody like this to say that he finds unexplainable that this man would suddenly murder a man in the street,it does sort of make it very intriguing I think. Robles: Why was he arrested in Kenya? Smith: This is the other very mysterious thing because apparently the British government knew that he had been arrested. It was alleged that he went over to Kenya to do some studying in a Kenyan village and some people suggested, well possibly,because nearby in Sudan [sic Somalia]they have these militant groups there and possibly he might have had some link with them when he was there, but we don’t know anything about that. But certainly he was arrested by Kenyan government troops and he was interrogated, he claims he had been tortured and sexually threatened and it had deeply affected his mental state by the time he arrived back in the UK. Robles: If he had been recruited by MI-5, why would he have attacked a British soldier? Any insight there? Smith: That’s what makes me think he wasn’t recruited because it seems unlikely, I believe he turned the offer down, from what he told his friend Nusaybah. He was saying to his friend that he wanted to go and live in a Muslim country where he could feel more free and not have the restrictions he had in the UK. But obviously he decided he wouldcarry out this murder and that was what happened last week. You have got to realize, that since the Cold War ended, one of the biggest threats perceived in MI-5 and MI-6 is from Muslim extremism, terrorism, and so a lot of the staff that they used to have looking at the Soviet Union and the Warsaw Pact countries was disbanded and they built a much bigger department looking at terrorism, Arabic affairs and that sort of thing since about the early 90s. So, they must be spending a lot of money, public money on recruiting agents either in countries where terrorism, like Pakistan or Afghanistan, where terrorism is perceived as being a problem. Also in this country where they know that there are these growing groups of radicals who willcarry out things like the 7/7 bombing or 9/11, or are prepared to do that sort of thing, and if they can prevent it, then it’s in public interest, I think. Robles: In your opinion, what can a society, be it the war machine, let’s call it, say, politicians, what can they do to make sure that such attacks don’t take place if that’s possible and do you think that is possible? Smith: I think the trouble with the UK. When we were living in the period of Tony Blair and Bush, that alliance caused a lot of harm to the UK and to the USA in the minds of those who live in Arabic countries where they were being invaded. Those people didn’t see the USA and the UK as friends, they saw them as - as we said before - invaders. I believe that there has got to be a political change in outlook, that we’ve got to see these countries not as threats but we’ve got to see them as trading partners, people that we can get on with, like we get on with other people in other parts of the world, and religion shouldn’t be seen as being the thing that separates us. Robles: Russia has no problem maintaining normal diplomatic and social and societal and other relations with Islamic countries. Why do you think that is? Smith:What I believe is the case, certainly in the UK’s position,is that if you go back over centuries, the UK used these countries as part of its empire, I mean, Egypt was part of the British Empire and lots of Palestine and lots of places were under the control of British, and so I think there is a sort of historical link there that Britain has got this thing in its closet that has caused these problems to some extent, that we think of these people as people that we colonized and so I think that has been part of our problem, we don’t see them as legitimate independent countries. 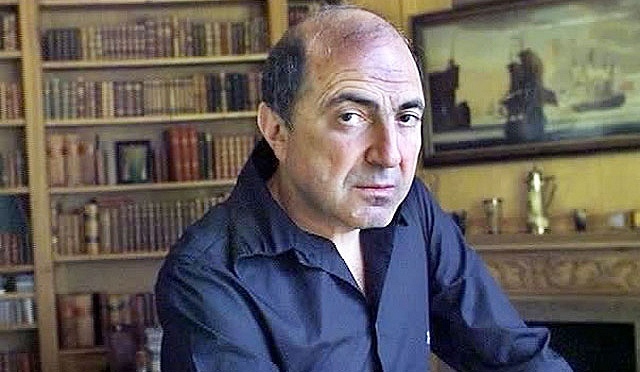 Boris Berezovsky was a rogue who plundered the wealth of the Russian people and Russia after the collapse of the USSR. In summarizing his life there are few who have anything positive to say about him and what he did. He lived a selfish life and did nothing to help those less “fortunate”. He was also a constant source of friction between the UK and Russia and in the end attempted to simply run away from problems he created for himself in the UK, problems similar to what he created in Russia. Michael John Smith, the last person convicted of spying for the Soviet Union in the world spoke to the VOR about Berezovsky and his legacy and stated the above and more. This is John Robles, I’m speaking with Mr. Michael John Smith. He was the last person convicted of spying for the Soviet Union in the UK. He is also an intelligence specialist. Robles: So, he went completely broke. Was this partially due to his catastrophic case against Abramovich? Smith: I think that’s probably one of the main reasons. But also he had a very expensive divorce case against his wife. You’ve only got to read through the history and see that he lost money all the way along the line. Considering he was such a wealthy guy who was slavishly rich, probably because he had stole the money from Russia after the collapse of the Soviet Union. These oligarchs just plundered the national wealth I think, they stole the money from the people and created vast empires that made them personally very rich people. And Berezovsky is obviously one of these rogues. He would have faced a prison sentence if he had stayed in Russia and that’s why he fled to the UK. Robles: In a previous interview we talked about Berezovsky. And now after his death, what’s the reaction? Is he still not very favorably viewed or what is the reaction there in the UK? Smith: I think people regard him as being a maverick. He did choose a very strange lifestyle where he was taking potshots at Vladimir Putin and he was asking for him to be removed from office at one point. So, he was seen as a bit of a rogue and some people liked him for that, some people thought: “Well he’s serving a purpose because he is attacking the Russian system and the Russian politicians”. On the other hand, people thought he was a troublemaker I think. People who knew him personally were saying how they will miss him. Robles: They don’t know. People don’t know what he was really about. Some people work their whole lives and don’t make more than a few thousand bucks. Robles: He stole it, A lot of it, most of it, was Aeroflot’s money. Smith: Yes. And this is what a lot of people remember him for is that he just made a lot of money and he lost a lot of money. Robles: Did he do anything, while he was in UK, that would have been viewed as being positive for the UK? Smith: I believe he started a political party. He had fingers in various pies. He has a history in the UK. Robles: Have you heard of anything positive he did, like giving to charities or anything like that in the UK? Smith: Not really. That doesn’t come to mind. I don’t think of him as being a charitable sort of guy. Maybe he did. Overall, I don’t think he had a very positive influence in the UK. Robles: How much damage do you think he did to Russia? What do you think about what he did to Russia in the UK? And how was he used by the special services? Smith: I think the biggest role he played in the UK was to come out in public attacking Russia, attacking Putin personally, and creating a bad feeling towards Russia. He was complaining about the political system there. And this would be quite regular. I remember seeing him on the news, the day after in the newspapers making claims about Putin and, as I said, asking for his removal from office. So, no wonder Mr. Putin doesn’t consider Berezovsky as a friend. Robles: What do you think about… He apologized to President Putin for his mistakes and he was asking for permission to come home. What do you think about that? Smith: I can perfectly believe he would do that because having lost all his money and also facing possibly more charges here, because he wasn’t paying his bills, to go home to Russia, he would be doing what he did when he left Russia; just escaping from the mess he’s left behind. Robles: So, basically: he stole a lot of money in Russia. He got in a lot of trouble with the authorities. He ran to the UK and then he got in a bunch of financial problems in the UK. Lost all his money, got in a lot of trouble and wanted to run back to Russia. Smith: That’s what I think. I mean it’s fine, you can be very self-opinionated and say what you think about anybody you like when you’ve got pots full of gold in your pocket. But as soon as that money is gone, then you have to apologize and be humble. And that’s what I think he was doing, he was being humble because he realized there was no other way he could return to Russia. Robles: During the last elections he was trying to influence the process from the UK in order I guess to facilitate his own expedient return. Smith: Back in the 90s he was good friends with Yeltsin and supported Putin for president. And as one of those oligarchs at the time he would have been probably regarded as having quite a lot of influence in Russia. And having left Russia he lost a lot of that influence, and that’s why he was taking a Russia because it was giving him that sense of having that powerful position. Possibly he was thinking that in returning to Russia he could resume some sort of political role there, and possibly make a new life for himself having lost his money here. 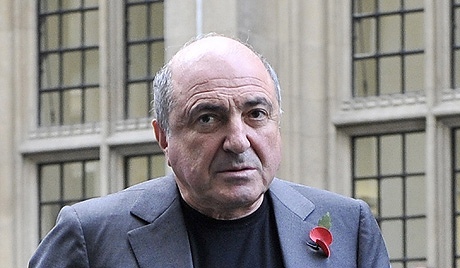 Robles: Your last words or your summary of Boris Berezovsky, the oligarch on the run. What would you say? Smith: I’m sure personally there will be a lot of people, his family, his friends who will miss him. No doubt when any human being dies it is not all bad and he must have people who will weep over his grave. On the other hand, I don’t see him as being a positive influence over the 20 or so years that he’s been a public figure. Robles: So, from negative to positive, to indifferent: Where would you put Berezovsky? Smith: I think he’s been a source of aggravation to a lot of people. And it’s not necessarily been a very good thing to have something like that in the UK because he has caused friction between the UK and Russian governments over the years just because he was there making arguments about Russia and they becoming publicized. And it can’t be a good thing for good relations between our two countries to have somebody like that constantly in the public arena. Robles: We talked about this before and you said that Berezovsky probably had very little relationship with the special services. Smith: I don’t believe he did. I somehow doubt that he did have, maybe he had a small amount of contact with them, but, through Litvinenko possibly. I think his main role was in the commercial field. Robles: And one more time, if you had to summarize Boris Berezovsky, how would you summarize him in one or two sentences? Smith: I think he was an opportunist I believe. He saw opportunities to make a lot of money in Russia in the 90s. And he took whatever opportunity he could. He tried to have influence through his money. And at the end of the day he ended up really, doing very little with that money I think, it’s just been squandered. Robles: So, from rags to riches, to rags. The British Government recently issued a Public Interest Immunity Certificate in the Litvinenko inquest, in order to keep secret, evidence that may prove damaging to the UK Government, including ties between MI-6, Berezovsky and Litvinenko. Hours after Berzovsky’d death Michael John Smith, the last person convicted of spying for the Soviet Union in the world by the UK, spoke to the VOR and gave his views on the life and death of the fugitive oligarch Boris Berezovsky. Robles: I’d like to hear your views, your opinions on the “Oligarch on the Run” who just died in London, Boris Berezovsky. What do you think about the circumstances surrounding his death? What is your opinion on how he died? Who may have been behind it, etc? Smith: It was a little bit of a shock because it came out of blue this afternoon when it suddenly popped up on the news. But maybe I am not so surprised because he has been such an opinionated guy over the years and a lot of people were possibly going to assassinate him. He certainly had a paranoia about being assassinated. He had bodyguards around him at all times. What apparently happened is rather unknown at the moment. The police are looking into this, the Themes Valley Police have put a cordon around his home in Ascot and are not allowing anybody near there at the moment. What they are doing is they are looking into what may be cause, who he may have met, all the possibilities about how he may have met his death. I’ve heard several rumors or stories in the news already. One is that maybe he died the night before on Friday. He was found in his bath about 11 o’clock in the morning by his bodyguard and this is what’s a bit strange; if at 11 o’clock he was found, but the ambulance wasn’t called until about 3:18 in the afternoon, and there was a woman Sasha Nerozina, a family friend was talking on the TV earlier today and she said she was phoned up and told about it around lunch time. So, obviously there are a few missing hours before the emergency services were called to look into things. Robles: So, it is possible he died last night and then they found his body this morning but they didn’t call the ambulance, as you say, until about 3 o’clock in the afternoon? Smith: 3:18 pm is the official time the ambulance was called. This might mean that there is nothing at all suspicious. That he possibly died of a heart attack because there were talks he had gone to Israel for medical treatment recently. Robles: But is it common in the UK if somebody dies out of heart-attack, and you just leave their body sitting there, for 8-10 hours? Smith: No, but it is possibly something surrounding him, maybe his bodyguards didn't know what to do or maybe there was a discussion about things before they called the ambulance. I have no idea. There is a possibility that was also being talked about. If it wasn't a heart-attack, he could have committed a suicide. People are saying there are no marks on his body, nothing to suggest that he had been attacked. So, he could have been poisoned and possibly had been poisoned. So, it is very mysterious and I guess we have to wait till we hear from the medical examiners to hear exactly what they think the cause of death was. Robles: He certainly was an individual who may have had reason for committing suicide. I mean recently he wrote a letter to president Putin asking for forgiveness for his mistakes and asking if he could come back home and then… there was that and I don't think he was very lucky in that, then there was also the Litvinenko affair, the inquest that is coming up. Smith: With Litvnenko obviously, as I said before in a previous interview with you, I think there is something suspicious going on in the background with Litvinenko and Berezovsky and maybe with MI-6. They don't want this to become public. As you are aware there is an inquest into Litvinenko’s death coming up and it is an ongoing affair. And very recently the British government issued a Public Interest Immunity Certificate, the PII certificate. Smith: This is the certificate that is raised by usually some government organization, it could be MI-5 asked for it, or MI-6, when they don't want certain information to become public, and that is why they say it is in the public interest, not to have this information divulged because possibly it could affect national interests, national security. But usually I think these things are more raised because of the embarrassment, they protect the interests of individuals or organizations in the UK but this information won’t become public. Robles: And again this is with regard to the Litvinenko inquest? Smith: Yes, precisely. And this is one of the reasons I think that Andrey Lugovoy said recently that he didn't want to become involved in this inquest any longer because he thought it was unfair or unjust. Justice wouldn't be found in this inquest because obviously if some of these evidences is not going to be put before the court, then there is cover-up going up of some sort, the cover-up of evidence that may involve Berezovsky. Robles: So, basically now MI6 or MI5, they have asked for any information that may damage UK security to be thrown out or kept secret, right? Smith: That is correct. So, the Public Interest Certificate is actually available on-line. There is a website called litvinenkoinquest.org. You can see a copy of this, William Hague, the Foreign Minister has signed it. So, it goes right to the top of government that they want to prevent this information becoming public. Robles: This may be a moot point but MI-6; do they commonly use, as the US does, calling something a national security issue when it is a national “embarrassment” issue? Smith: Yes, this is precisely what they do. I mean I wouldn't say it comes up in every case. It came up in my trial, the brought out a PII Certificate in my trial because obviously some of the evidence they wanted to keep secret, and as I know, people did produce false evidence at my trial, I know that that probably have something to do with this PII Certificate. And I am sure in the “Litvinenko Affair” it is going to be exactly the same thing: if there is any link between MI-6 and Litvinenko that was embarrassing to the British Government, this is precisely what they would do; they would bring out a PII Certificate and stop their evidence becoming available to the public. Robles: If I understand you right, they can present false evidence in this manner? Smith: Exactly, they can do what they like, because once the true evidence is withheld, obviously a lie or a false idea can be put into the court, because they know that the real evidence would be forthcoming. Robles: Does that put a muzzle on the entire process, or just on certain parts of it, or what? Smith: Usually it’s just certain parts, but usually it is the key parts, the parts that should be most embarrassing to people who don't want that evidence to come out obviously. Maybe it would be deeply embarrassing to the British Government, if that evidence that this certificate is withholding, was to come out and be revealed. Maybe it would show that government was lying to the public? Robles: Would you care to speculate on any connections between Berezovsky and Litvinenko and MI-6? Smith: Obviously Berezovsky bought a house for Litvinenko, he was giving him money, he also paid, for his widow, her legal expenses as part of his inquest. 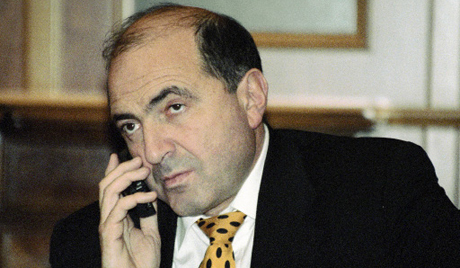 Somewhere down the line things had gone very seriously wrong for Berezovsky. He lost all his money and that was the other possibility he could have committed suicide because his was broke, he was actually selling property in the last week. One of the largest air shows in Europe was cancelled recently reflecting the growing economic crisis in the UK. 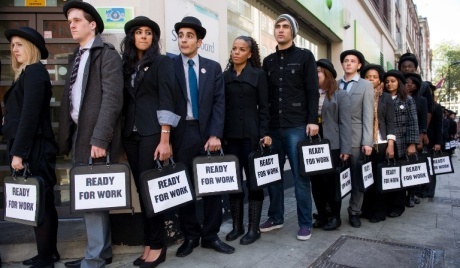 More and more Brits are losing their jobs and salaries are being kept down as the price of living skyrockets, although most Brits try not to complain and toe-the-line, things are beginning to reach crisis levels. Voice of Russia contributor Mike Smith spoke with John Robles and gives us a local view of some of the problems faced by Brits as the government tries in desperation to stay solvent. Robles: Can you tell our listeners a little bit about what’s going on there in Southend? I understand a very important event was cancelled and this has had a large resonance. Smith: Yes, it’s been very upsetting for a lot of people who live in my town. 27 years now we’ve been staging an air show along the seafront, which is a very spectacular event. It draws up to 700,000 people every year, and brings in something like £10 million of revenue for the local businesses. But for some reason this year it’s been cancelled by our local council and it doesn’t make a lot of sense to people who live here. But what the council is saying is that because of David Cameron’s cuts, the coalition Government in the UK is obviously cutting as much as they can, all over the country, they are removing benefits and welfare, and all sorts of things to local people. And in our town we’ve been told we’ve got a cut of our budget by something like £10.4 million this year, in order to stay solvent. And what this means in effect is; the council have looked at everything they can cut and they have decided that £130,000 which they need to pay to support this air show can’t be provided this year. So, for the sake of £130,000 they are going to cut the air show which brings in all these tourists and also lose of the revenue of £10 million which doesn’t make any sense to me. I mean I know myself if you go on a seafront when this air show is on, it is completely packed with people who have come down from London and all over the country. People come from Wales and all over the country to come to this air show because it’s such a big event, it is one of the biggest free air shows in Europe. And for some reason cutting it seems to make sense for the council, but local people don’t quite understand the reason. Robles: I’ve heard some reports that security personnel or police, they were actually removing T-shirts from protesters in front of the City Council building who were protesting the cancellation of the air show. Is that true, have you heard anything about that? Smith: Well, that’s right. That’s one that I’ve heard of as well because I went to a meeting at the Civic Centre in Southend, they had a meeting on Thursday, that’s only two nights ago, at which this budget was going to be approved by the council, which included, among other things cancelling air show, but also cutting a lot of other things that the council does for the local population. And at this meeting people who were attending, some of them were wearing white T-shirts with black lettering saying “Scrap the Cabinet”, the Cabinet is the central body of the council. Smith: This is just a slogan, you know, obviously people are upset, they think “Scrap the Cabinet”. It is a sort of wild slogan to try to create a demonstration I guess against what the council is doing. Smith: No, it’s not a violent thing. There is no sort of threat there really. But the security staff when saw these people with these slogans on their chests and on their T-shirts obviously got very upset about it and said you got to remove your T-shirts before you can come into the public galleries to view the meeting. And some of this people had nothing underneath, except for, some of the women were only wearing a bra. And I would say it was really unpleasant when you are supposed to be told to remove the only thing you’ve got covering your chest. Robles: Unbelievable! Really, they even made women do this? Robles: Couldn’t they turn them inside out or something, I mean they just made them remove them? Smith: You would have thought there was a lot more possibilities there, then just saying: “Remove your T-shirt!”, but that’s the way these people operate, they don’t think rationally, they don’t really regard this as being a democratic process. They see these people as a threat, obviously, that coming into the council wearing a T-shirt is going to cause some sort of disruption. It obviously doesn’t, because you can’t say anything on the council meeting. The way it works in the UK is - if you attend a meeting like this in the public gallery, you have to remain silent, you can’t speak. So, it’s just for viewing what the council is up to, you can’t actually make a contribution. So, wearing a T-shirt is a silent protest really. Robles: Is this something new for the UK? Smith: Well, I have not heard about this before, especially in a place like Southend. It is a very quiet sort of seaside resort, you don’t get this thing going on usually. And I’m very surprised that the council would feel it was necessary to do this type of thing, of removing T-shirts, because the council has already make their minds up. What this meeting was about, really, it was a rubber stamp to say that the budget has already been approved and there was no room for discussion or anything. So, this process, really, it was wasted because we couldn’t change the minds of the council because it had already been decided. Robles: Are these elected officials there? Smith: Well, they are elected. And that’s what some people are saying, that next year may be some of these councilors who have gone along with this idea of cutting the air show and other things in Southend, that some of these people are going to be, perhaps removed from the office by the elections next year. Robles: Southend is also a port of call for famous Russian ship, isn’t it? Smith: Yes, “the Sedov” came here some years ago, but for some reason it was cancelled last time, it was due to come here, I think due to some sort of political issue between the British and Russian Governments. Robles: Oh, goodness gracious! The Occupy Movement kind of just disappeared there. Have you noticed a tightening of the security state? Smith: Well, in London, because obviously the capital is the place where most of this goes on. In the capital of London we had the process outside St Paul’s Cathedral last year. But usually these things are rather isolated in certain areas. But people are really having a tough time here in the UK. I think a lot of people just keep their heads down and just try to get through the week to afford their cost of living. And we had a problem here that in our local community centre, we use it as a food bank. Lots of people are turning up here every day expecting to get free food because they can’t afford to buy food in the shops. And this is a sort of situation we are getting into here. So, cuts are occurring everywhere and in the meantime bankers are being told that they are going to have their bonuses capped at a year’s salary. It is really quite a difference between those who have and those who have not. The standard of living is dropping all the time because wages are being held down while food prices are rising and rents are rising. And things are getting tough in the UK, I mean you know what’s happening in Greece, Portugal and Spain. And the same sort of thing is going on undercover in the UK, but people don’t talk about it as much as they do in Spain I guess, but it is happening here as well and people are suffering. Michael John Smith, the last person in history convicted of spying for the Union of Soviet Socialist Republics in the world, and a former quality control officer who turned intelligence specialist after his unfair conviction, spoke to the Voice of Russia about the case of Alexander Litvinenko and the recent revelations that Litvinenko was working for MI-6 and Spain's secret service. In part 2 Smith gives his views on the connection between oligarch-on-the-run Boris Berezovsky and Litvinenko. Hello! This is John Robles, I’m speaking with Michael John Smith. He is the last person convicted of spying for the Soviet Union in the UK. Robles: What about his connections with Chechnya? Smith: Well, I believe he came from that part of the world when he was a young man, I believe. So, he may have had some affinity for that part of the country. The other thing I was going to say, I mean, looking at the role of the MI-6 in the world, there was a case in 2004 when two Libyans were abducted and “rendered”, a polite way of calling it, back to Libya to face torture at the hands of the Gaddafi regime. One of those people has actually won some compensation: 2.2 million pounds, which is a lot of money, that was paid by the British Government because they accept that this man has been rendered illegally by MI-6. Robles: Is that normal for MI-6 to treat people who work for them in such a manner? Smith: I’m not saying these people worked, they didn’t actually work for them. But I’m saying that this is the sort of activity that MI-6 has got up to in the past. That time, in 2004 if you remember, Tony Blair was trying to get on to better relationships with the Libyans, and particularly Gaddafi, and he had that meeting in the tent with him. And that was all over oil, and having some sort of good relationships with Gaddafi to get access to his market and his oil, so that’s MI-6 just playing a role. And actually, what happened there was that the MI-6 head Sir Mark Allen, he sent letters to the Libyan secret service head. And after the war, if you remember, they’ve found secret files from the Libyan secret service. So, he sent letters from the MI-6 to the Libyans and I’m putting it on very good terms but after rendered these two guys back to Libya for Gaddafi to torture. Robles: And where are they now? They’re now in London, or…? Smith: I believe one of them has gone back to Libya, I’m not sure but he is lucky that he is still alive because in those circumstances many people died. 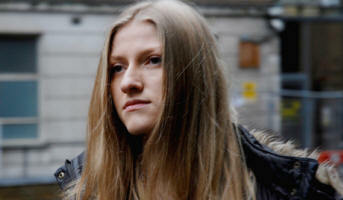 Robles: What do you make of Litvinenko’s widow? Recently she was making pleas for money to finance legal fees. Smith: She wants the murder investigated and wants to, obviously find out who is responsible. And we don’t know because it is still under way, this inquest into the death. Exactly, what is going to come out in the future – it might be the things in the files which have not been revealed yet, which will perhaps shed new light on what really happened and whether Litvinenko was doing some secret mission maybe and got into trouble over that. We just don’t know, but his wife has a personal interest in this. So, let’s hope she is not being misled by the British Government into thinking it was only the Russians who could have been responsible. Robles: Do you see any connection between Litvinenko and Berezovsky’s fall from grace in the UK and the fact that Berezovsky has stopped funding the investigation? Apparently Litvinenko’s wife was receiving financial support from Berezovsky. Smith: As the inquest proceeds, possibly Berezovsky knows that there is going to be something coming out in the future that he doesn’t want to be known, and possibly that may have something to do with why he’s withdrawn his funding. Robles: Do you see any connection with… that he lost a case to Abramovich? Smith: That’s right, he lost a very big court case a few weeks ago. Robles: Right. Right. Pretty much put out to pasture, I would say, by MI-6 and the UK Government.Would you characterize that correctly? Smith: Well, I’m not quite sure what Berezovsky’s involvement with MI-6 is, I mean he is probably not that close to them. He seems to be a bit of a maverick in the UK. And he behaves in some ways that he can do what he likes and I don’t think he is somebody that British Government particularly like having on our shores. Robles: How is it that he was able to obtain “instantly” a British passport when he arrived in the UK? Smith: I guess at that time perhaps he was seen as a useful ally. The fact he had a lot of money that he could bring to the UK he had lots of investments in Russia, and possibly they saw him as being a useful asset to them. But I’m not so sure they see it that way now because he obviously has his own agenda and it is not necessarily in the best interests of the British people. Robles: Mike, last time we talked, we discussed some of the issues regarding the case of Tomlinson who was supposedly “the leaker” if you will, of the infamous MI-6 list. Have you heard anything or do you know anything about what’s happened to him? Smith: It is very strange I think. We have talked about Tomlinson in the past and he was on the scene making comments on his blog, he had at least one blog I think on the Internet. And he was constantly causing trouble for MI-6 and eventually they sent a team over to search all of his belongings. They took a lot of stuff back to London including his computer hard disks. And they gave him a pretty hard time for a few weeks. Then it all went quiet. And I actually had a few conversations by email with Tomlinson about my own case. Smith: That’s right. What came up in the newspapers about the time he disappeared was that he had done some sort of deal with MI-6 and that everything was going to be good. And whether he got a financial settlement out of it, I don’t know. But he just seemed to disappear and I’ve not heard any more about him and I’ve seen no mention of him on any website. And it seems very strange. Whether he is still alive, it makes us question that, doesn’t it? He is certainly not somebody whom I’ve seen any comment from in the past year or two. Robles: Thank you very much Mike. I really appreciate you speaking with me again. Smith: Thank you John, nice to talk to you again. You were listening to part 2 of an interview with Michael John Smith, the last person convicted of spying for the Soviet Union in the world. You can find part 1 on our website at english.ruvr.ru. I’d like to speak with you today about the Katya Zatuliveter case. In your opinion, do you think that Katya Zatuliveter is a Russian spy? I don’t think so. But all we really know about this case is that she had some sort of private affair with her boss, Michael Hancock. He is a Liberal Democrat MP in the British House of Commons. Katya was his assistant and what started as a work relationship developed into some sort of a romantic relationship that often happens between a boss and his assistant. But no actual evidence has been produced that proves that Katya was a spy. And Mr. Tim Owen, her lawyer, has stated that MI5 doesn’t have any evidence that she has been involved in espionage. Why would then MI5 target her? Somehow they must have seen Katya as another Anna Chapman. I believe it is no coincidence that Katya was arrested in December 2010, shortly after the witch hunt over Anna Chapman. Mr. Hancock would also appear to be at possible risk partly because of his work with the all-party group on Russia, where apparently he has been rumoured as having opinions that were “too favourable” to Russia. Mr. Hancock was also on the Defense Select Committee, another parliamentary body and that dealt with government defense matters. And this is probably what really worried MI5. This spy case actually caused Mr. Hancock to resign from his post last month, in October. So, these were just suspicions? There was nothing real? You have got to remeber MI5 are a very paranoid organization, because they see spies wherever they see any Russians in the UK. And any Russian working for a member of Parliament will be seen as a possible spy. Do you consider that MI5 acted unprofessionally in the Zatuliveter case? I think they did. And I think this case does enormous damage to the reputation of MI5 and it shows them as being amateurs really, for their simplistic attitude to national security. Katya’s lawyer, Tim Owen, he has described MI5 as more like Inspector Clouseau than George Smiley, who was John le Carré’s spy. So, he is presenting MI5 as a sort of comic case. I think this recent case is just an indication of what is really going on behind the scenes. Both MI5 and MI6 use the media to spread false stories, disinformation and real lies: there is a long history of propaganda coming from the intelligence services. They also have their mouthpieces, their favourite spokesman, who can influence news in any way they want. You mean someone, for example like, Oleg Gordievsky? He plays no effective role apart from being a mouthpiece for the security services. As we are coming up to Christmas – and we know that Santa Claus has his little helpers, the elves, those vile ugly little critters – I believe MI5 and MI6 also have their little helpers as well. And Oleg Gordievsky plays a role as one of their loyal servants. And he comes out with very biased claims against Katya in the newspapers, clearly stating that she has always been a Russian spy from the time she was a student. Obviously, this is just a sort of propaganda that MI5 wants to get out there, into the media. Whenever Oleg Gordievsky appears in the media he always supports and praises the role of the British Intelligence Services. who are actually his bosses. Gordievsky’s explanation for the lack of evidence against Katya is that she was so good at what she was doing that she didn’t leave any sort of trace. Such an argument demonstrates to me that Gordievsky is an intellectually dishonest person, it is not any proof against Katya. Is Gordievsky the only person who is used? One of the main spokespersons is Prof. Christopher Andrew. He works at Cambridge University. He is another person who is often used by MI5 and MI6 to put stories into the public domain. 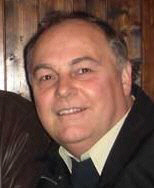 In 2009, Andrew was entrusted by MI5 to publicize the authorized history of their organization. On my blog, I have referred to Prof. Andrew as the “Cambridge Parrot” simply because he is so adept at mimicking the words he is asked to say on behalf of our British Intelligence Services. Another book of Andrew’s is The Mitrokhin Archive, which was published back in 1999, with the aim of exposing alleged Soviet spies in Britain, including myself. This was just a propaganda operation and was meant to remind the public that the Cold War was justified and also a warning not to get too friendly with Russia. Can you give the listeners another example? A good example is one by Prof. Andrew’s identification of a woman known as Melita Norwood, a Soviet spy, the so-called “granny spy.” She was about 80-something at the time when she was exposed. What was strange about this case is the way in which it was exposed. A journalist named David Rose apparently he found out about Melita Norwood, managed to track her down and he did the very first interview with her at the time The Mitrokhin Archive was being published. The timing and the detective work, at the time, seemed incredible. How could he do this? In fact, it was too incredible. What actually happened was – it later became known – that during this period, Mr. Rose was actually working as an agent of MI5 and MI6. And he was given the task of leaking stories such as this through his job as a journalist. He was approached in 1992 by some MI6 officer. Apparently, his main qualification is that he unquestionably agreed to be recruited as an agent. And he also agreed not to talk about it to anybody or then he wouldn’t gain access to these, these sort of scoop stories. So, how did we learn about it? We learnt about it because he has actually stated this in the newspapers. In New Statesman Magazine in September of 2007, he wrote and admitted the fact that he had been an MI5 and MI6 agent. Do you think that, also was a part of some operation? I’m not sure. But let’s not beat about the bush with this. What we are dealing with here is disinformation and manipulation of the news, which is available to the public in newspapers and on TV. The media is used as a tool in this propaganda war and news stories can be molded to suit the aims of intelligence services in anyway they like. They want to win the hearts and minds of the general public. And, in the case of Katya, they attempt to boost the status of Britain and malign that of Russia.